Vintage silverplated giraffe ringholder. It is marked as manufactured in Hong Kong. It is approximately 3 3/4 inches in height and 3 3/8 inches in width. 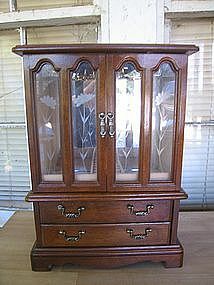 I've never polished it because I prefer the patina of time, however, I am sure it would brighten up with a silver polish cleaning. I need your zip code to calculate the postage. Gold toned rose brooch measuring approximately 1 3/4 x 1 1/2 inches. The catch is secure. I do not see any wear to the finish. I need your zip code to calculate the postage. 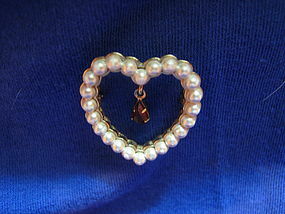 Brooch or pin marked JJ. 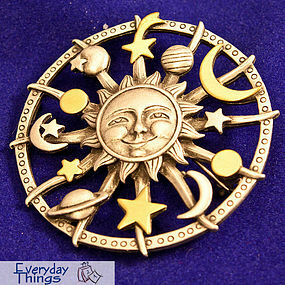 It is a circle pin which could be described as a solar system or sundial with stars, sun and moon. It measures 1 7/8 inches in width. There is no damage. I need your zip code to calculate the postage. Ring holder in ivory china, much in the fashion of Lenox. There is no manufacturing information. There is a flower and leaf design. It is 2 3/4 inches in height and 3 3/8 inches in width. There is no damage. Additional photos by email. I need your zip code to calculate the postage. 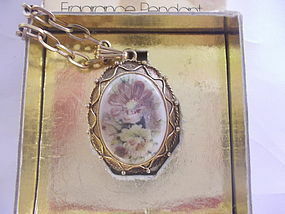 This is not a new brooch, but not old enough to be considered vintage. The back is marked LC. 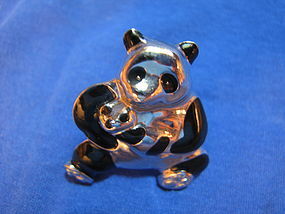 It features a mother panda, holding a baby. 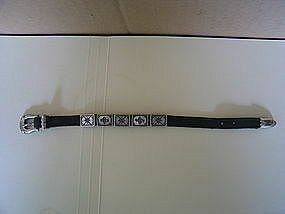 It is silvertoned with black enameling. 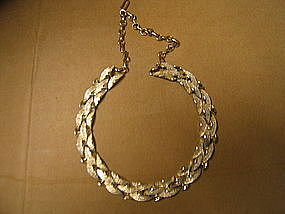 It has been worn, but shows no wear. The measures are 1 3/4 x 1 1/2 inches. I need your zip code to calculate the postage. 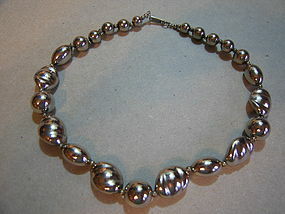 Vintage bead necklace measuring 16 1/2 inches. 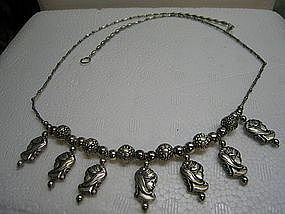 It is not marked as silver, so I do not know the metal composition. 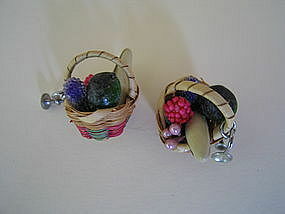 It was very tarnished, but cleaned up with silver polish. It is marked 3,984,900. There is no damage. I need your zip code to calculate the postage. 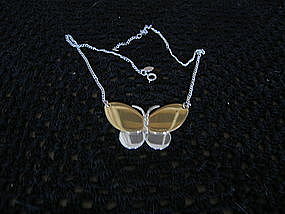 This is a really comfortable necklace. Including the extender, it is 15 1/2 inches. There does not appear to be any loss to the finish, but I hate to say that, because it is difficult to tell, due to the way it is textured. I need your zip code to calculate the postage. 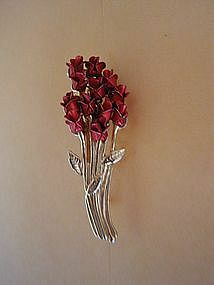 Vintage goldtone brooch with 12 rosebuds formed in a bouquet design. 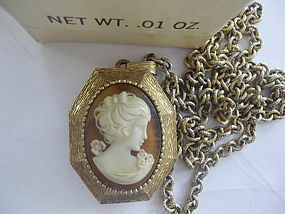 It is marked with a W. It measures 2 1/8 inches in length and 3/4 inches in width. 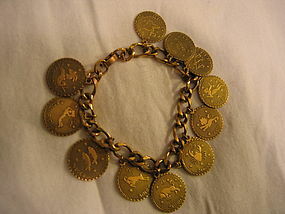 The clasp is in a secure condition. Minor wear to the finish. I need your zip code to calculate the postage. There is a small dot of wear to the surface. It is so small, that I can't get it to show. There is a lot of glare, not be mistaken as damage. I need your zip code to calculate the postage. It is marked as Brighton 1994 and is not quite old enough to be called vintage, but is getting close. The band is 9 1/4 inches in length and the silver disks are 1/2 x 3/8 inches. There is minor wear to the leather band and the silver is slightly tarnished. Additional photos by email. I need your zip code to calculate the postage. 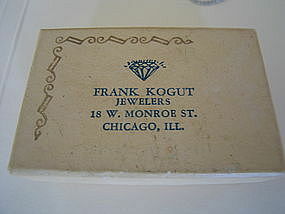 Cardboard box from Frank Kogut, Jeweler's, 18 W. Monroe St., Chicago, Ill. It measures 2 1/2 x 1 5/8 x 1 inches. There is no structural damage, but general aging and yellowing of the cardboard, as well as small amount of soiling. I need your zip code to calculate the postage.